Arden is a beautiful wedding dress in pure white with strapless corset bodice accentuated by embroideries. 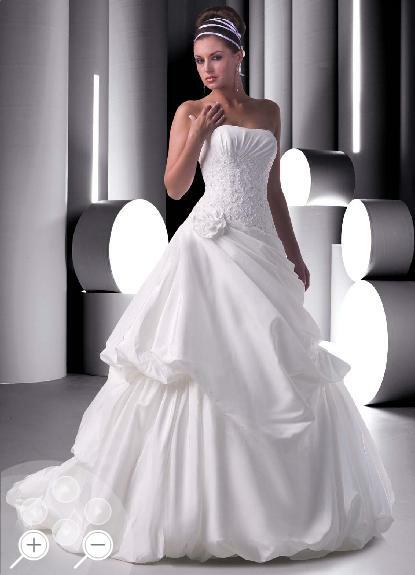 The strapless bodice is made of soft lace fabric and the gown is made of luxurious satin. Features hand-beaded lace appliqués on the bodice cascading across the draped skirt with a dramatically pleated back. 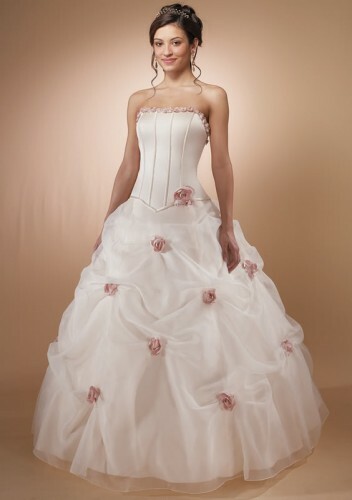 Also a corset bodice and chapel length train with scattered beaded appliqués. It’s perfect combination of lace and satin which results in a wonderful figure. This wedding dress is a depiction of femininity featuring an A-line silhouette with sweetheart neckline. Other details include removable straps.